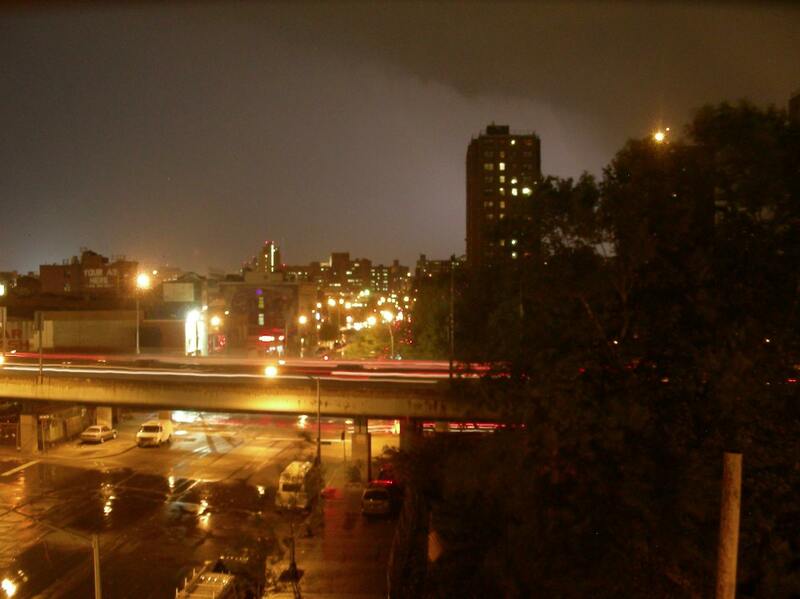 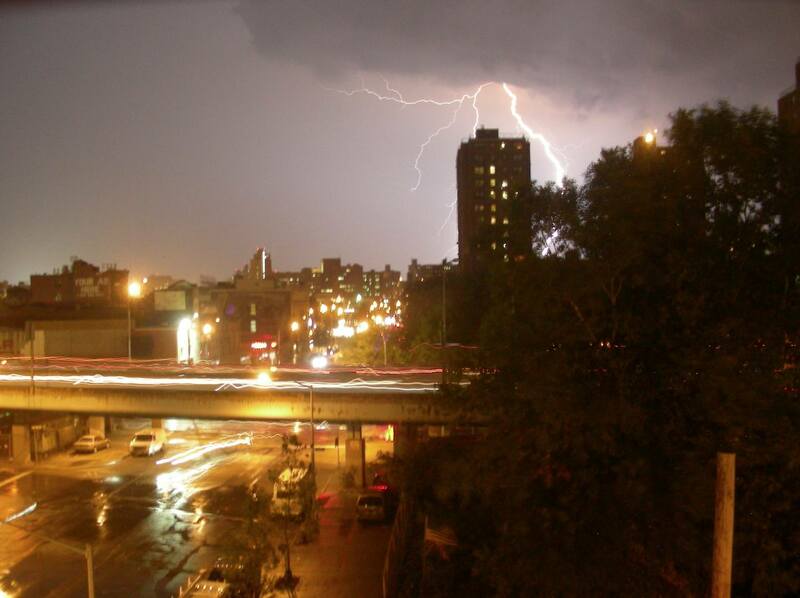 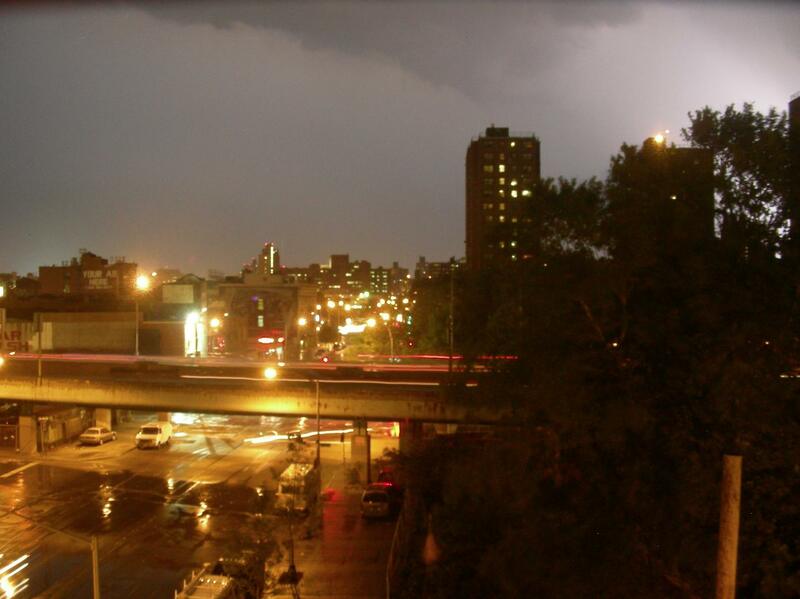 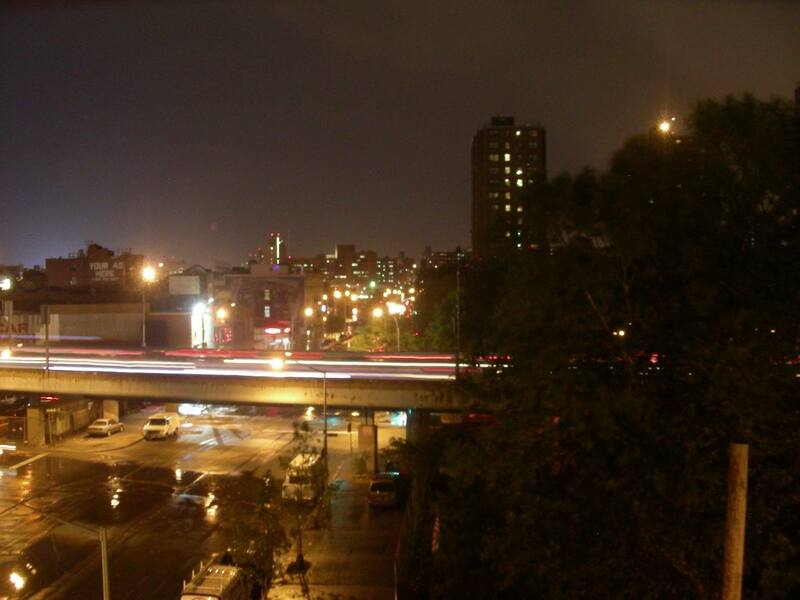 A violent lightning storm moved through the south Bronx last night about 8:30. 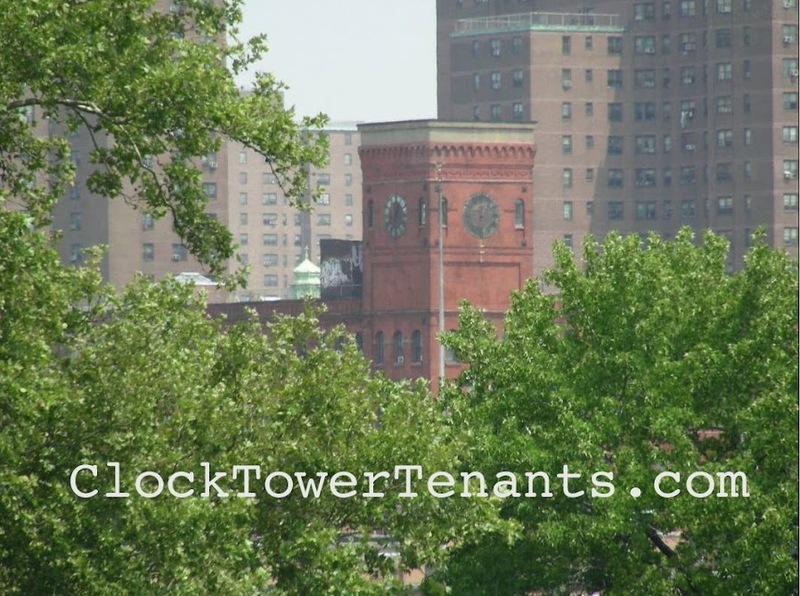 The Mitchel Houses behind us, known as the projects, are the tallest structures in the area. Ha, great shots! I was actually going to ask you if you got any last night. 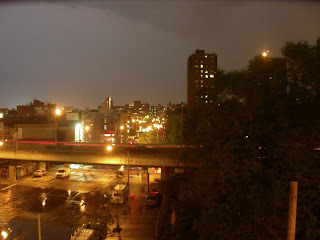 I got a few myself, though, not nearly as great as yours. Well done! 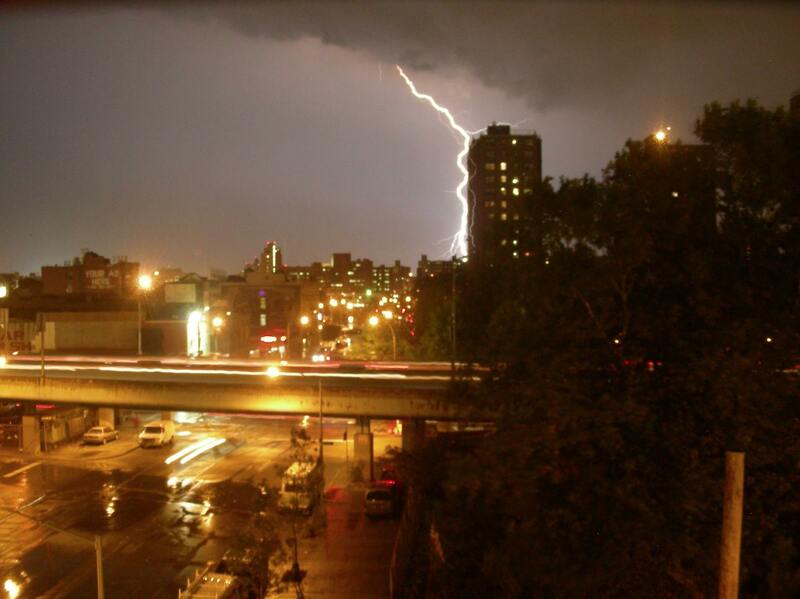 Thanks, Crank. 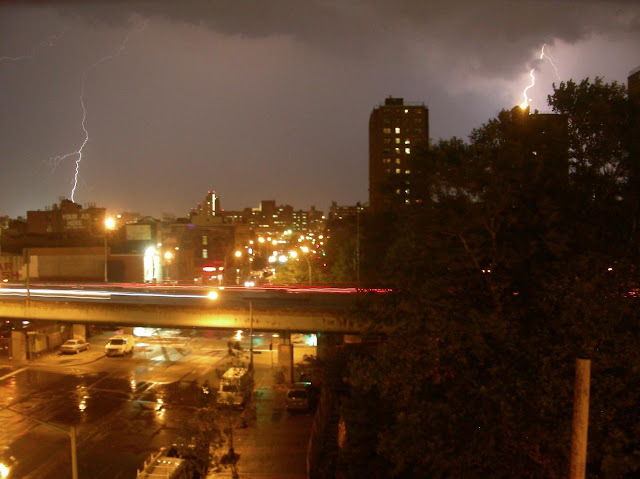 I shot 75 exposures at about a quarter second each, one shot after the other, and caught the lightning 3 times, a 4% capture rate.